Creative branding, illustration and animation commissioned for 'The Big Squeeze' campaign. 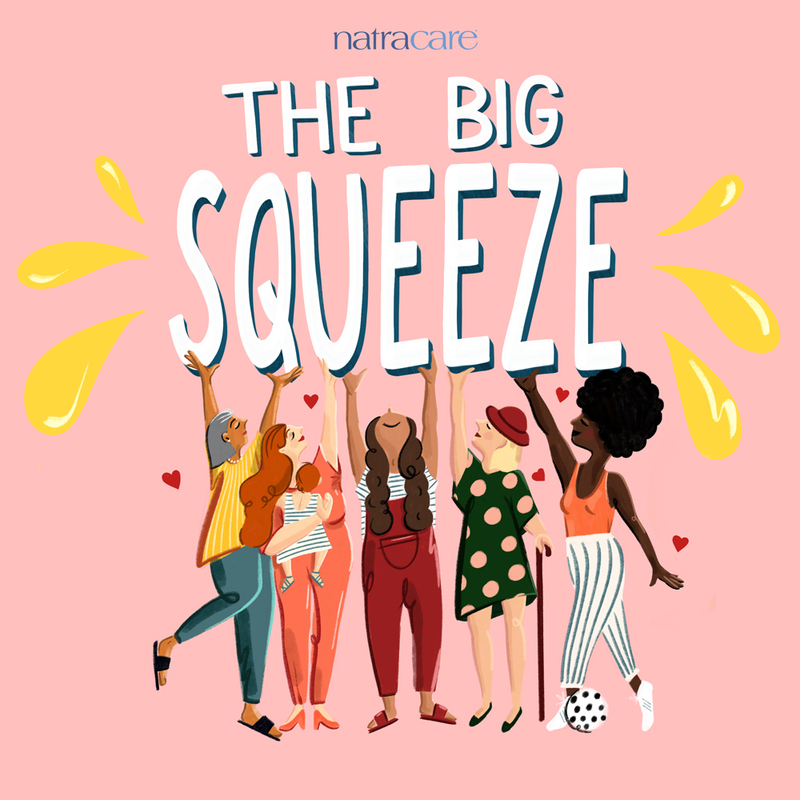 I was commissioned to deliver the creative branding and illustration across ‘The Big Squeeze’ campaign for organic sanitary brand Natracare, pushing for awareness of incontinence, and the importance of pelvic floor exercises for women at all ages. 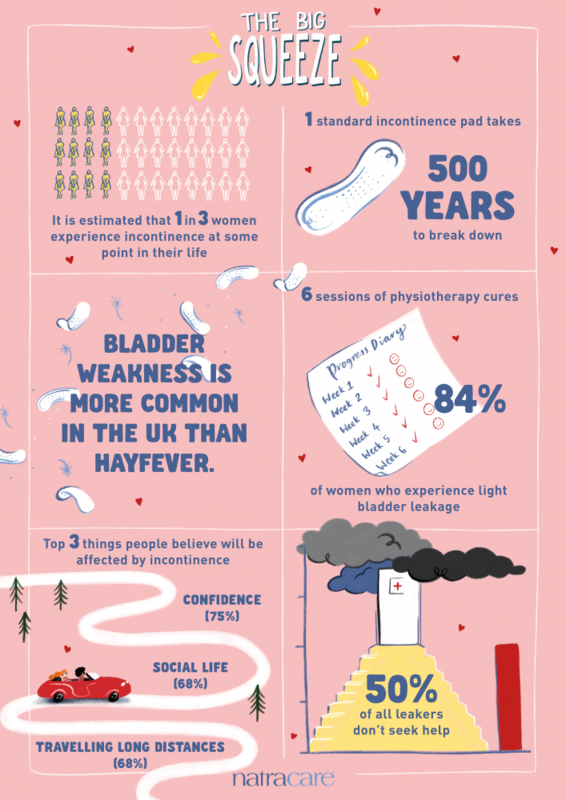 Natracare wanted to make the campaign feel approachable, friendly and playful, making it inclusive of a younger audience than the demographic who is usually associated with incontinence, to raise awareness within a different generation. The main graphic for the campaign was of 5 women of different ages, ethnicities and disabilities. I animated a cover image for the Facebook event for the World Record challenge Natracare held to have the most amount of women of the world joining in with their pelvic floor squeezes at the same time! Again this was kept playful, and was also really fun for me to animate! I also delivered an illustrated infographic to tie in to the campaign and be used across the media. The main campaign graphic (below) .